Good morning! I have the rest of the projects we did at last weeks fabric class to share with you today. 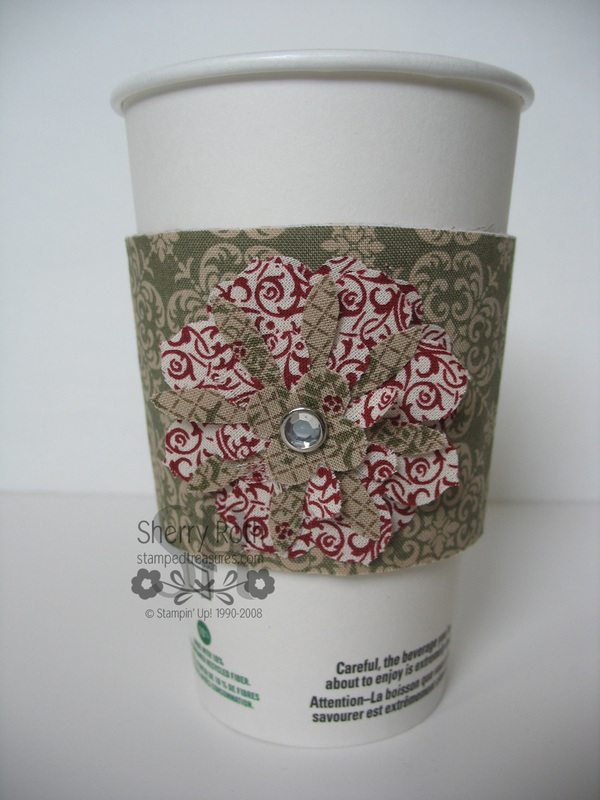 The first one is a coffee cozy, inspired by one that Susan Paterson demo'd at our September We CAN Stamp event. I believe she had a butterfly on it, I switched it up a bit and added flowers and a rhinestone brad. I will definitely be making up some of these for a craft sale in November. 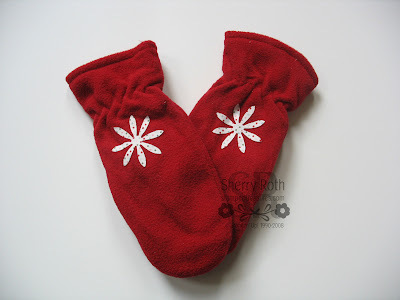 They are so cute and would be adorable with a coordinating gift card holder. Gotta get crackin on those - it's just a couple weeks away! The last project we did was inspired by my upline Winona Semler. She did these at one of our group meetings. This is a super quick project but demonstrates how to use the fabric adhesive. So cute. These will be a door prize at one of my upcoming events. check it out the great deals here!